Hope you’re all having a WONDERFUL beginning to 2019. 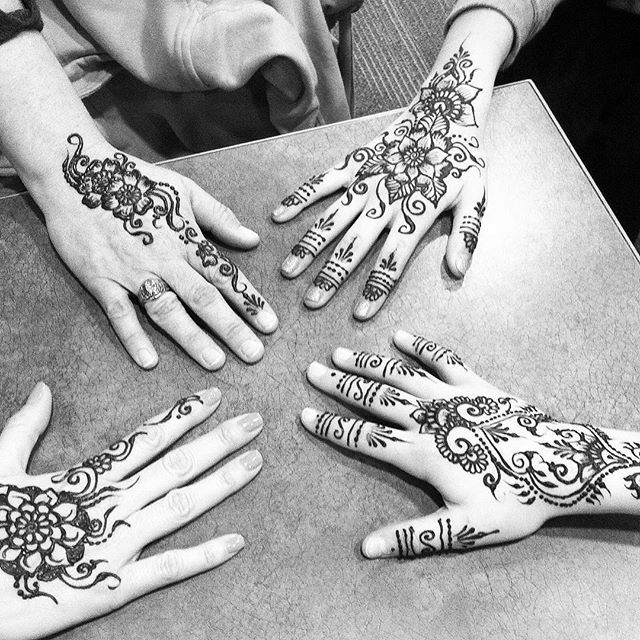 Spring is fast approaching and our henna calendar is filling up quickly! We have so many events coming up – some very exciting ones that I’ll tell you about in a bit and some I can’t mention yet (secret!) 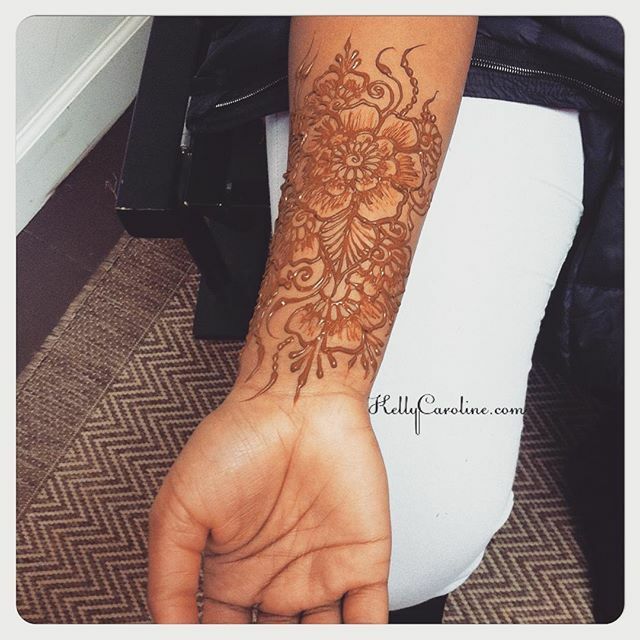 But I wanted to share our most popular henna designs this year so far . 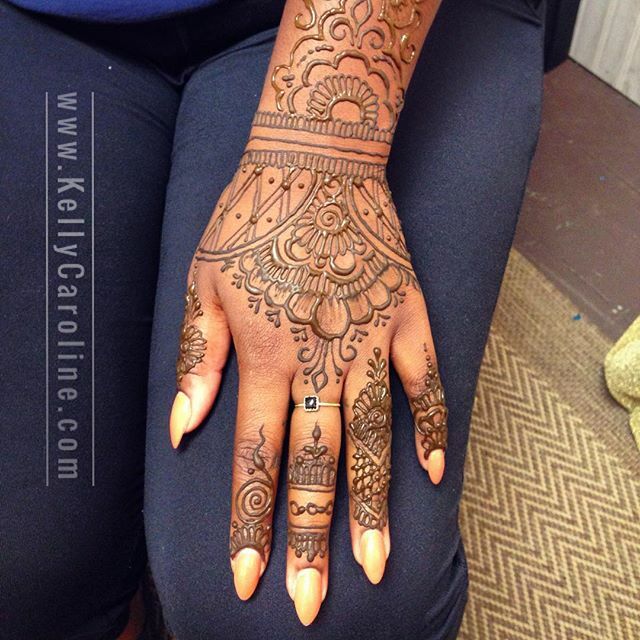 I mean – like the Little Black Dress, cute floral henna tattoos on the hand will always be on trend! 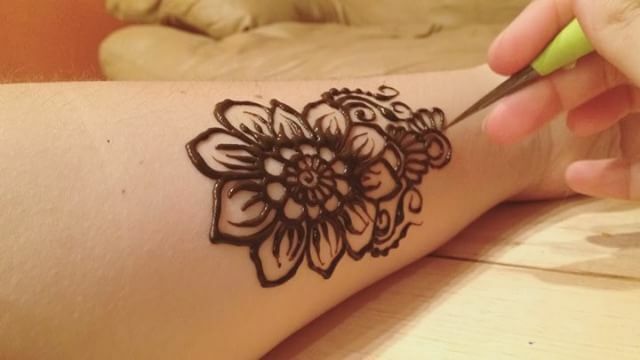 Our favorites to do because we LOVE floral henna designs . 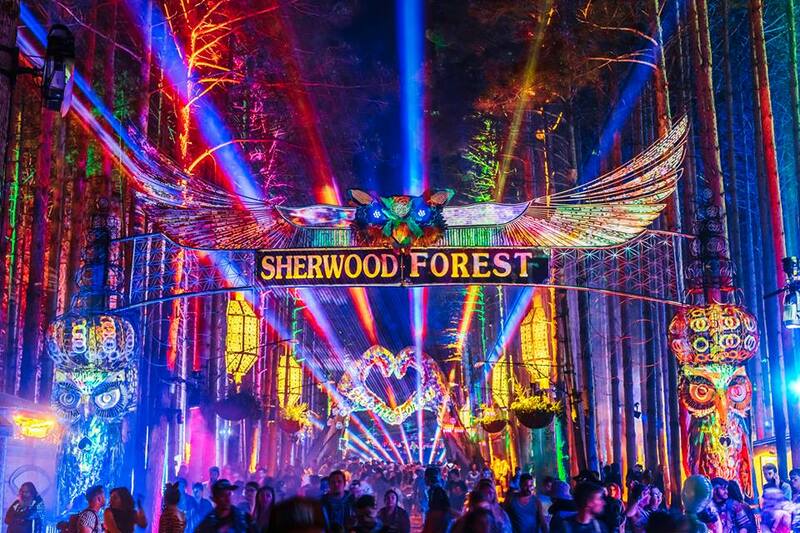 Electric Forest is one of the world’s largest music festivals. 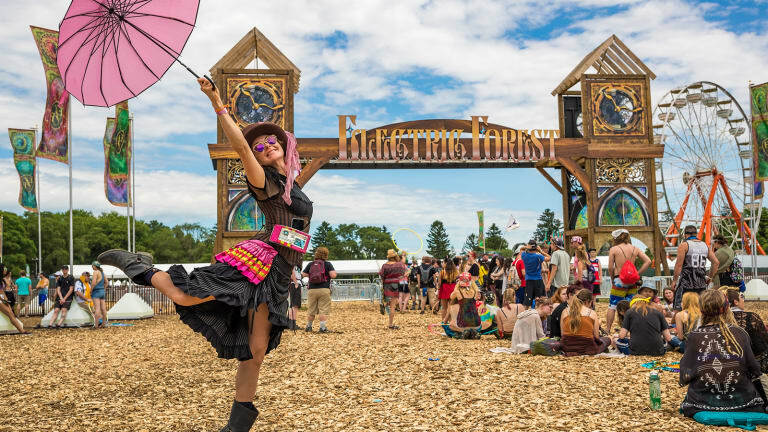 Every year Electric Forest plays host to dozens of EDM and live music and over 40,000+ attendees. This year Electric Forest 2019 is totally sold out and I understand why. 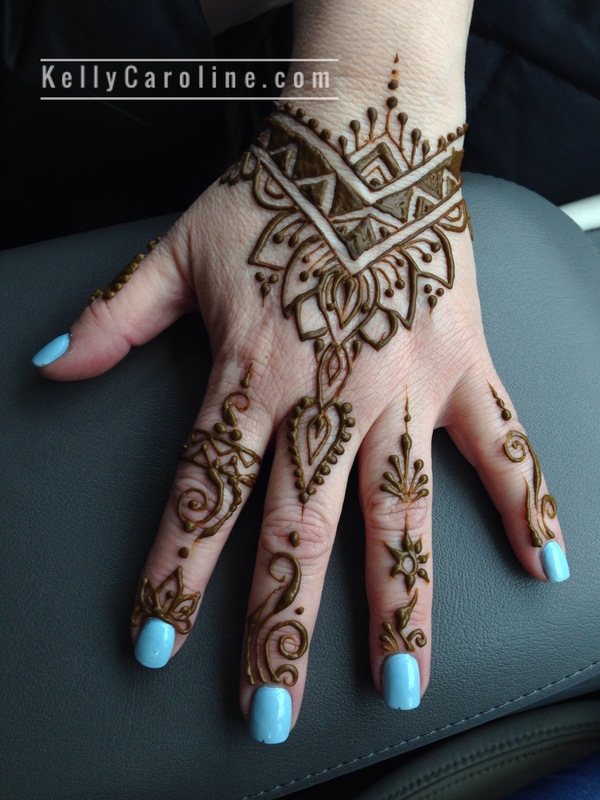 It is a truly remarkable event that is one of a kind. 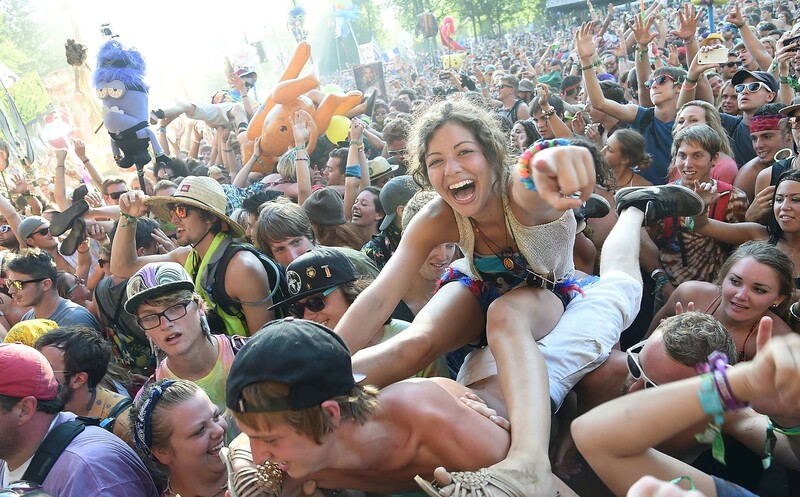 The vibe at Electric Forest is unlike any other music festival most people have ever attended. 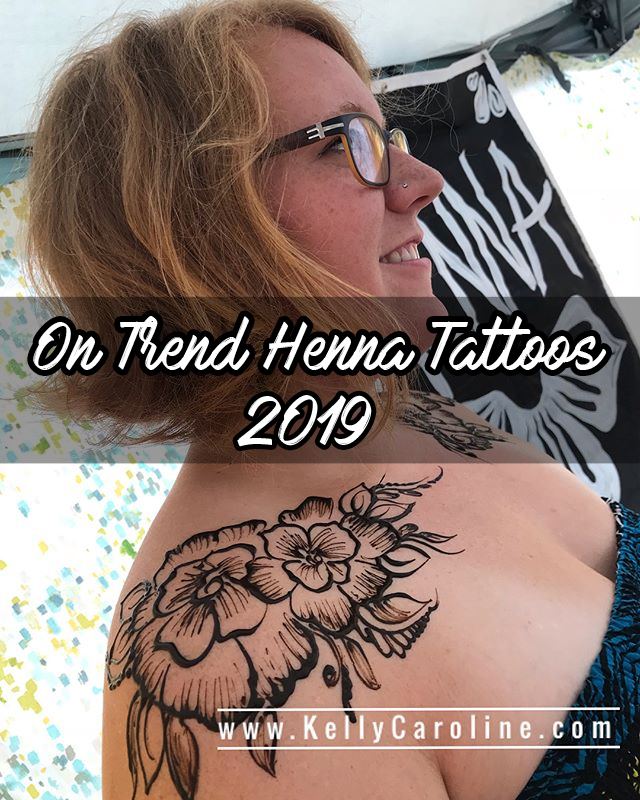 We are the henna artist booth for EF and when we speak with our guests, they all say the same thing in regards to the festival: “this is incredible! 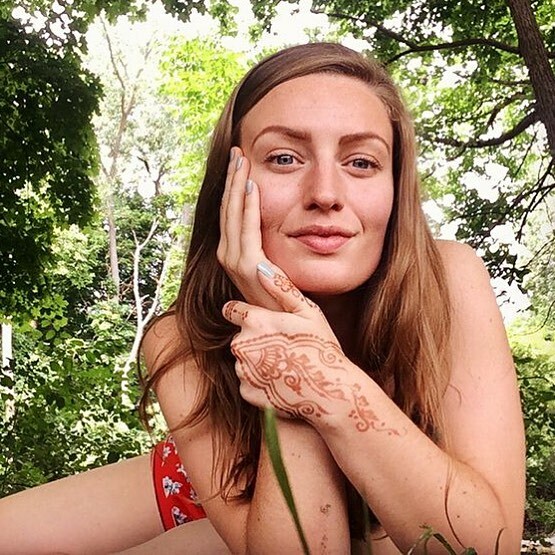 I love it here.” The energy that is captured for 4 days in the Forest truly is magical – everyone is just kind and very accepting of everyone. I look forward to the new people I meet and stay friends with every year. 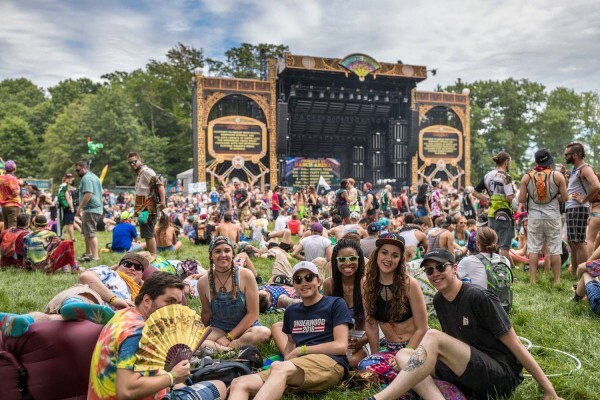 For those of you going to Electric Forest this year – I wanted to write a few tips of what to pack for a festival and what to expect at a large festival – specifically Electric Forest tips for packing and what to expect. 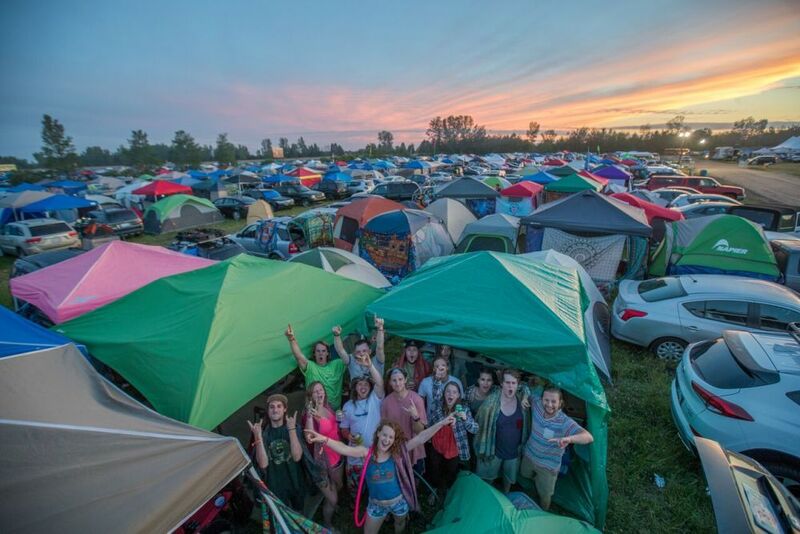 Electric Forest is very open concept – and for the majority of attendees, they will be making their home in the campground of Electric Forest. I’m not going to list camping supplies because I’m no camping expert, trust me. But here are items that were defiantly needed- You will want to bring a very reliable, big waterproof tent large enough to sleep you and your crew. BE SURE TO BRING WEIGHTS for any tent – especially pop up shade tents like EZ UPs – I love these because they come in so many colors. Yes, the ground is there to stake into, but don’t rely on that. Especially because its a hard, sandy ground and stakes really don’t do much good if the wind kicks up. One year on a Sunday, the rain came and winds took everyone’s pop up tent with it. We saw hundred of crinkled tent frames in the garbages.. bring weights. Bugs have never been an issue – I think they put a protectant out because I swear I never saw one mosquito – but the june bugs come out for about 15 minutes every night at sunset, then go away not bothering anyone. It does get chilly at night even in the summer in Michigan. Be sure to bring functional layers- light hoodies, jackets with pockets, sweatpants & socks. Bring a few light blankets so you can layer at night and not be too hot by morning. 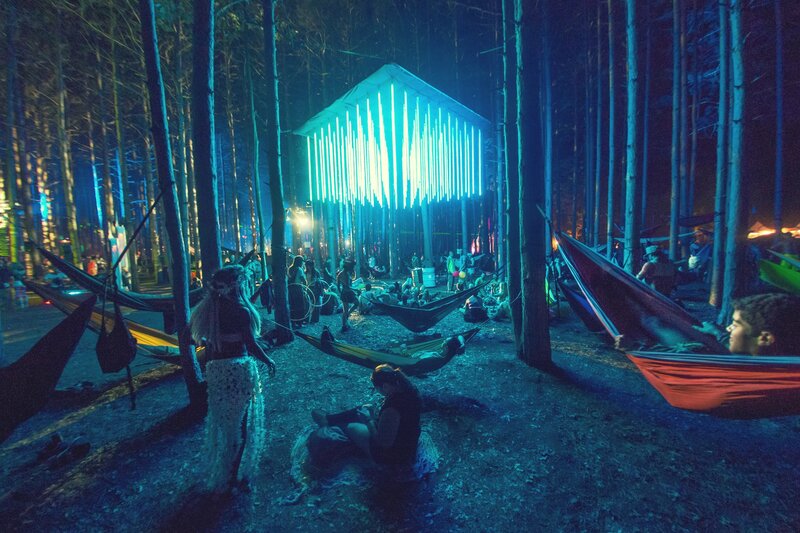 Bring a sturdy hammock for the trees – that’s an experience you don’t want to miss! Obviously bring sunscreen, nice stainless steel bottles for water, chairs to sit on at camp, some cash not just cards, lots of easy foods & snacks that don’t require a fridge. DO NOT bring glass bottles for anything – to keep everyone walking in bare feet safe they don’t allow glass bottles which makes sense. These BABY WIPES are so clutch – I can’t stress that enough. 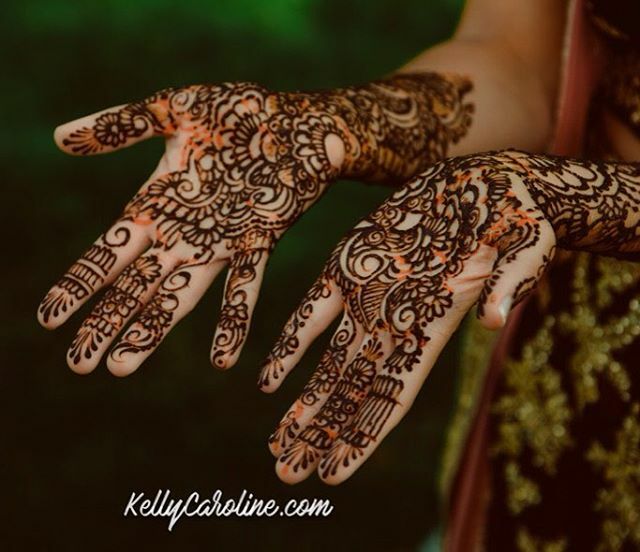 Bring more than you think you’ll need – because you’ll need them for everything – your face, your arms, your FEET, to feel clean periodically through the day. 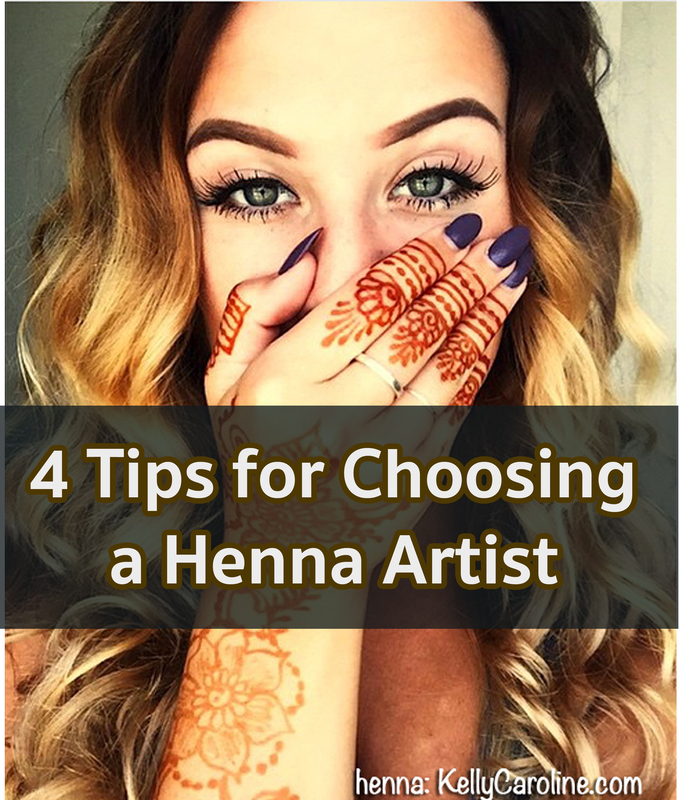 Trust me – you can’t have too many. Cellphone service is crappy there – which I think is part of the beauty! People aren’t glued on media devices – they’re there, in the moment. 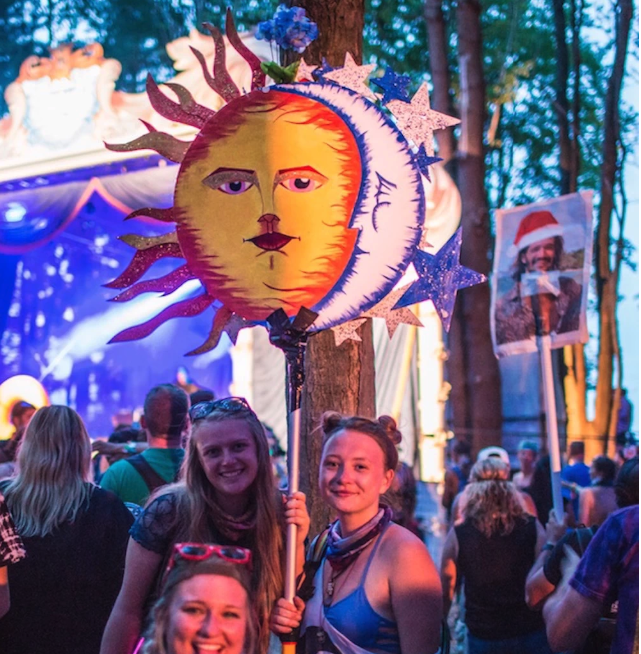 That being said, lots of groups bring a totem – a big, light up something on a looong stick or pole so in the crowds, you can spot your crew and make your way to the meetup. Think signs with slogans, alien heads, giant glowing broccoli creations – you get the idea. It’s really good to have if you’re with more than just one person. 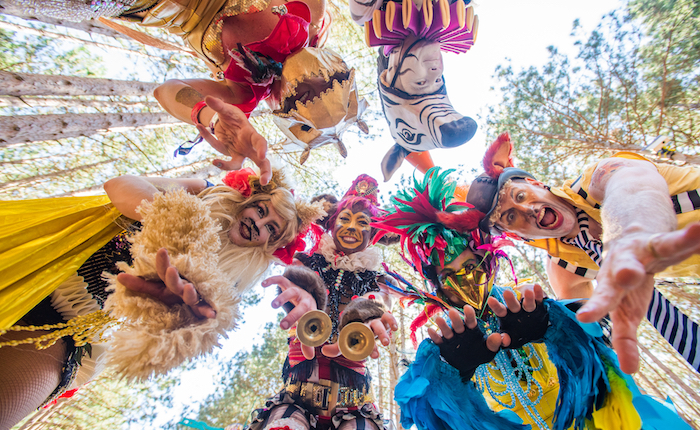 Costuming and dressing up is so natural at Electric Forest- the bigger the better. One sure way to make friends is to dress up. I have seen everything from 60 year olds in tutus to giant bee costumes to girls wearing just body paint and pants. It’s wonderful to see everyone’s creativity. 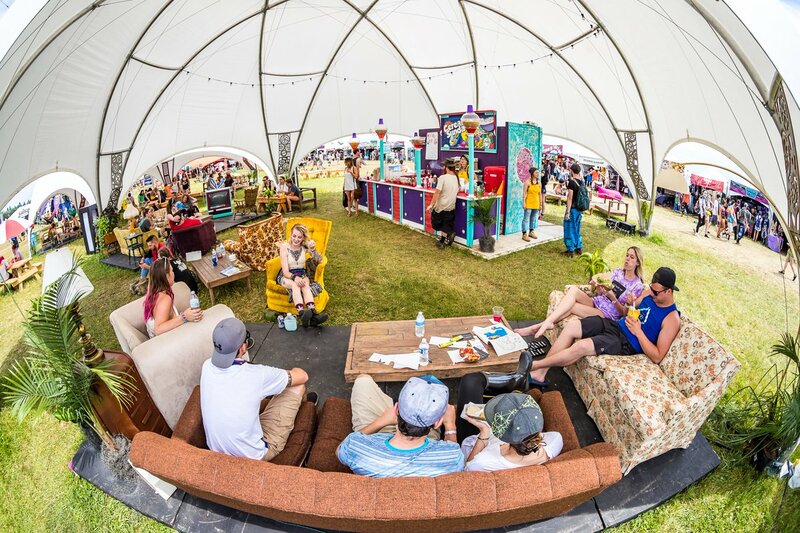 The main row of crafting & shopping is in the Campground as well. 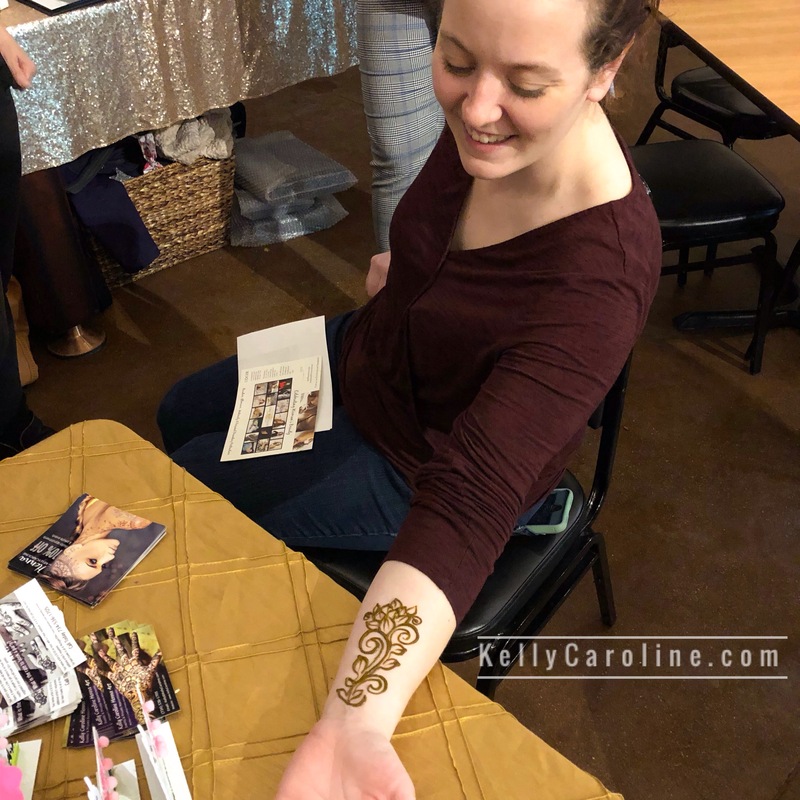 There you will find beautiful handcrafted necklaces, clothing, enamel pins and our henna tattoo booth. 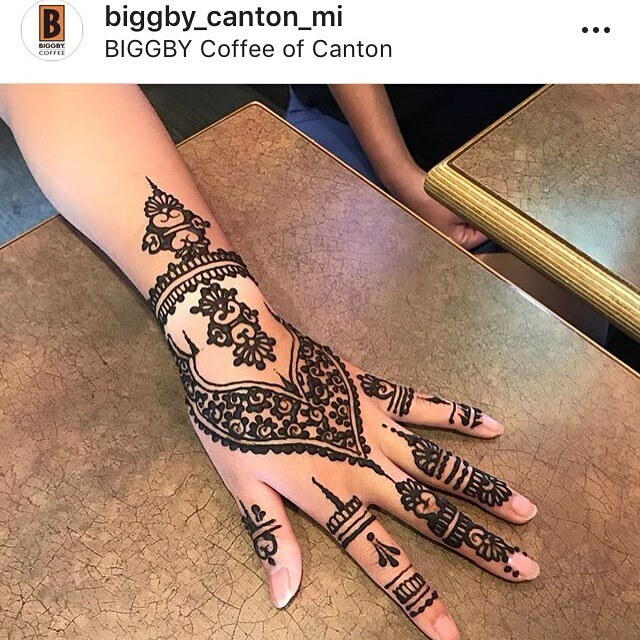 We will be there with three henna artists at our tent this year. 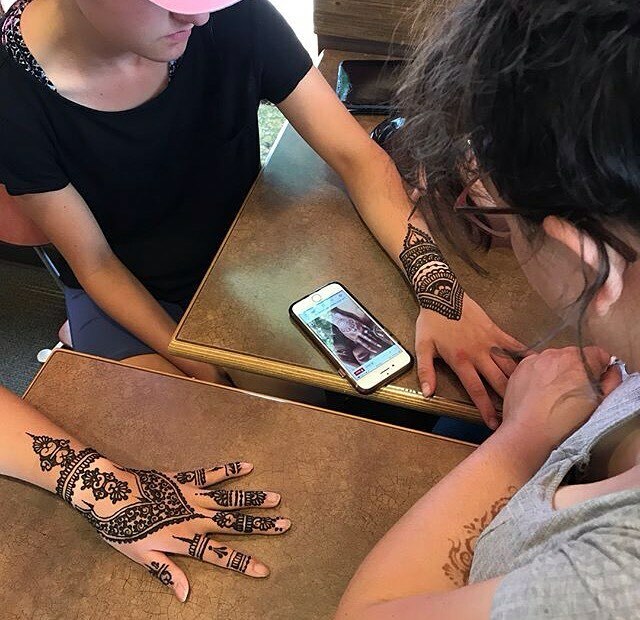 The best food vendors are in the Campground – there’s a large variety and the prices are about what you would expect at a festival. Expect to get fed for about $10-$12 a person on average depending on what food you decide on. Medics & police are sparse, but are there if you need anything – they hire the most chill & understanding officials I think, so that’s always a plus. They know people are there to have a fun and enjoyable time and aren’t going to rain on that. 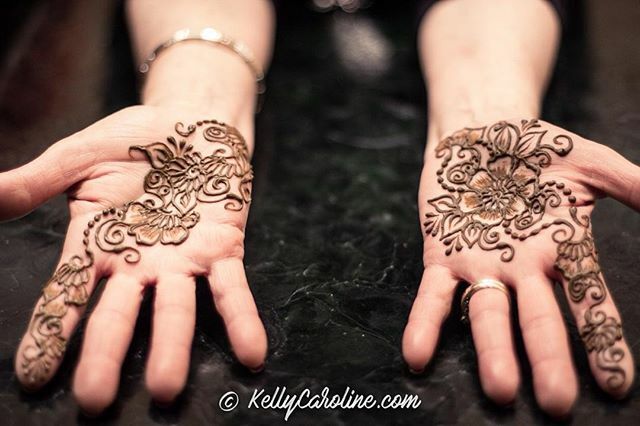 I needed Tylenol one of the first nights – after doing henna all day my head started to hurt a bit. I was already deep in the Forest so I didn’t want to leave and go all the way back to the booth at the campsite that has essentials for sale. I went to the medic booth and saw a fella on a little cot just needing to chill a bit and two friendly medics behind a little table. I said what I needed, filled out a slip of paper, they asked if I had been drinking (being 4 months pregnant at the time, my answer was NO, hah) and they gave me what I needed and sent me on my way. Friendly, knowledgable, and helpful – what more could you ask for? Anytime there’s an influx of 40,000+ people into an area, there’s going to be some traffic. Be prepared for traffic arriving and leaving. 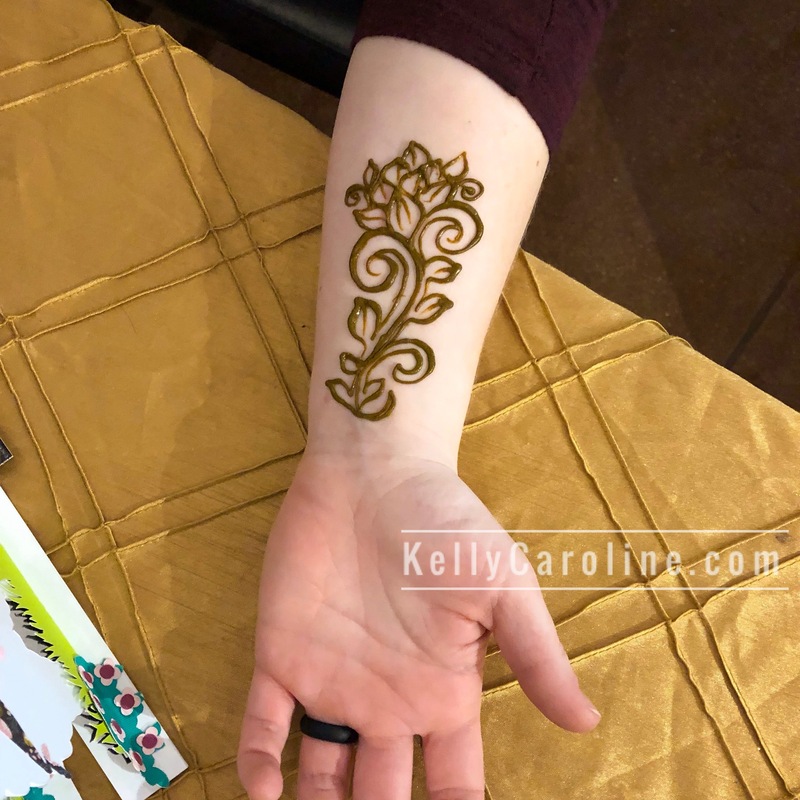 There’s no getting around that- BUT the fun can even start there – I have seen people meeting and greeting each other while they are bumper to bumper. It doesn’t last too long and once you’re there, you’re there. You can leave your car and be without all that for 4 days *sigh* which is great. I haven’t left and came back, so I don’t know anything about that. I do know that you’re about 20-30 minutes away from any large store or chain so if you forgot something, best to stop at the largest store you find about 30 mins out from your destination – chances are you’ll see about 100 other people doing the same thing when you’re on your way there. 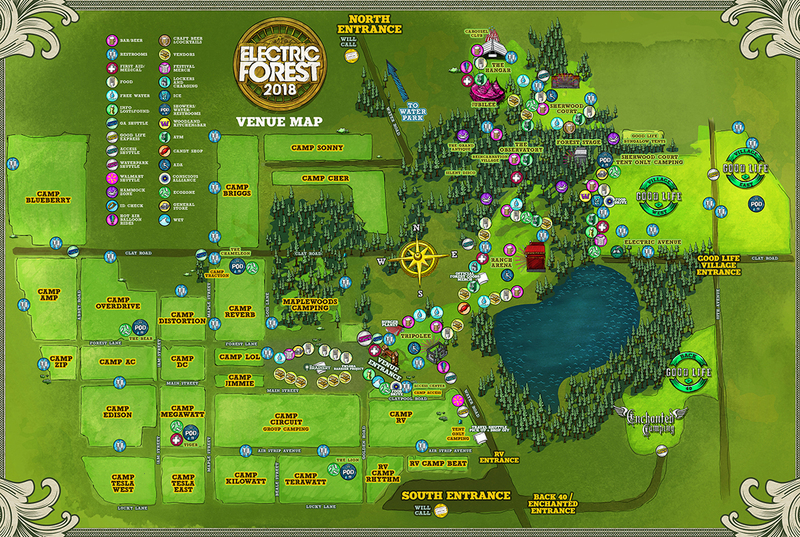 Familiarize yourself with the map of Electric Forest so you and your group know some key areas to meet at and have a general idea of where you’ll be headed. Don’t be dumb with things – don’t drink before you get there and drive that way. With any large event, there are police on the expressway in a radius around looking for people being irresponsible. 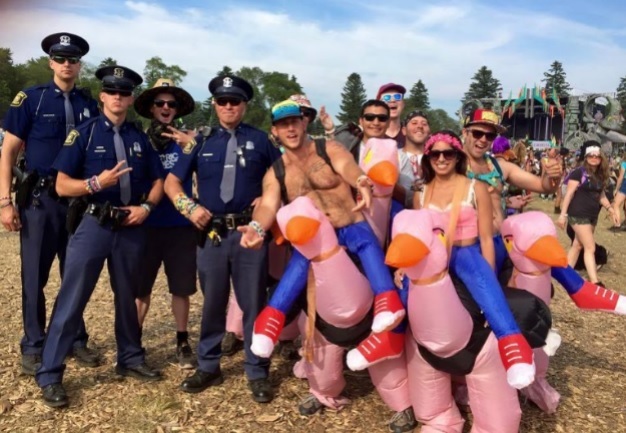 Don’t do other things on the drive there – just arrive sober and let the fun begin after you’ve set up your tent. I think some of the best and most fun moments are ones you don’t plan- just let yourself be free and enjoy your time. 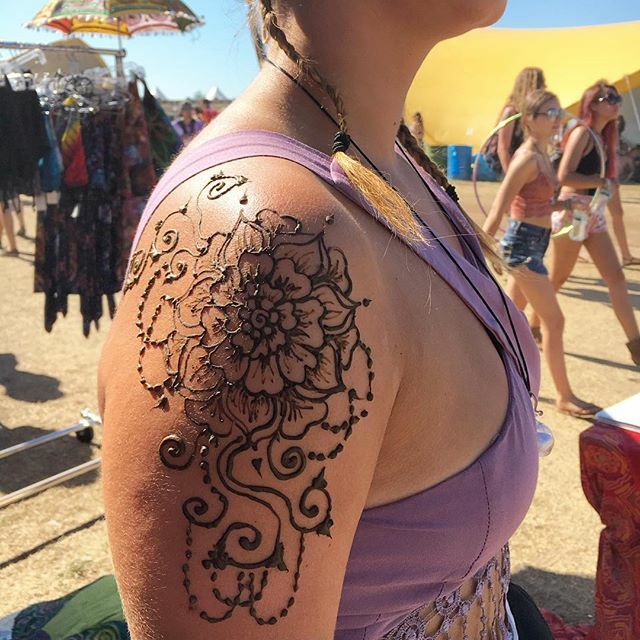 Electric Forest is a magical experience and a place you can make life long connections. 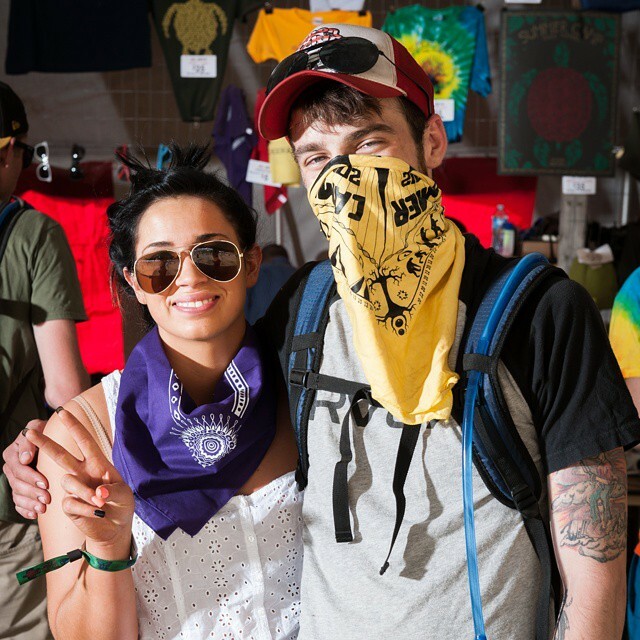 The FAQ section of Electric Forest’s website has more in depth info. 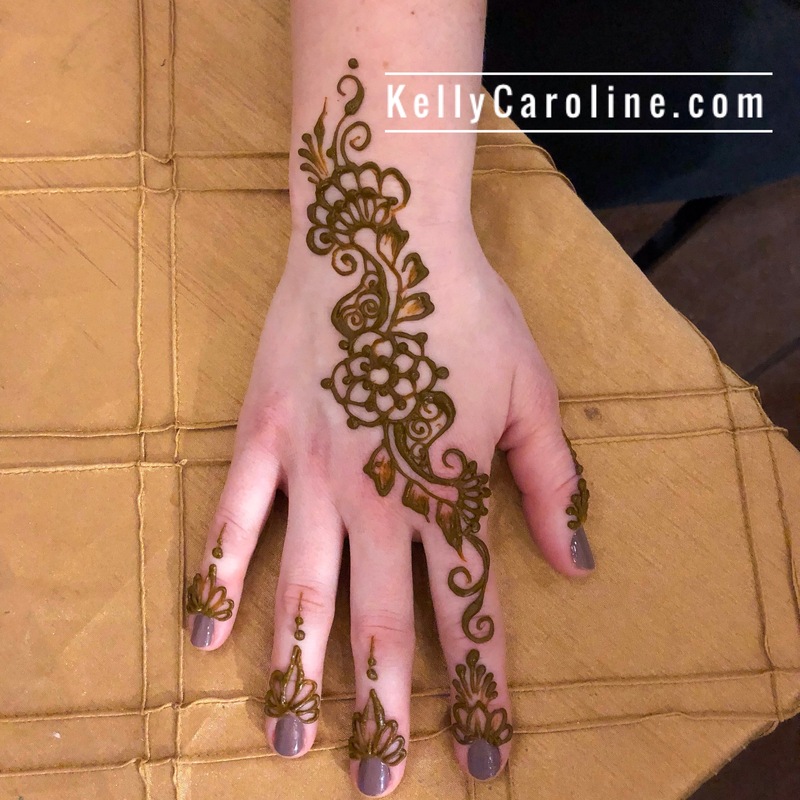 I hope you found these Electric Forest tips helpful for packing and if you think of any I can add, email me kelly@kellycaroline.com or leave a comment . Have fun and I’ll see you in the Forest! All images sourced online from various articles and resources.